How can a full neck and fatty eyelids be corrected? Luckily, you have some control over half of the influences that affect aging. You don’t have to accept the facial changes that your parents had to live with. Problems can be avoided or reversed with cosmetic procedures. Dr. Darrell Perkins performs neck liposuction at his Sydney practice by gently suctioning out excess pockets of fat cells to reshape the neck and provide a more symmetrical appearance. Sometimes, it is necessary to make a tiny incision beneath the chin to remove excess fat from under the platysma muscle. A significant accumulation of fat in this area will make for a fuller neck. 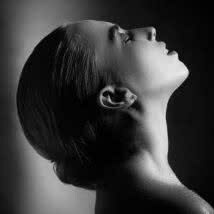 Liposuction to the neck will remove unwanted puffiness and create more attractive contours. The procedure will improve symmetry and improve facial harmony when done correctly. A full-figured patient with a fleshy face would look off-balance with a slender neck. Dr. Perkins requires an initial consultation to assess each patient’s specific needs and to determine what needs to happen to achieve the desired goals. To improve the contour of fatty or puffy, tired-looking eyelids, Dr. Perkins offers blepharoplasty, also known as eyelid reduction surgery. This procedure involves the removal of excess fat, and skin folds for a youthful look. At times, hooded or heavy lids can interfere with proper vision. Patients with this condition report a feeling of heaviness and difficulty reading. Eyelid rejuvenation surgery can brighten your appearance and improve daily function. 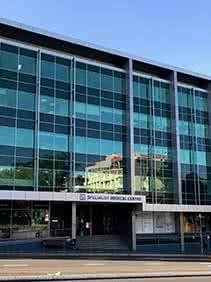 What should I expect during eyelid reduction surgery in Sydney? Blepharoplasty in Sydney requires an incision in the upper or lower eyelid where excess fat is removed. The skin is re-draped and heals with essentially no visible scars. The result is a smoother, and younger contour that provides a more alert appearance. The recovery is quick with minimal discomfort. Bruising and swelling may take up two weeks to disappear. How you look can greatly affect how you feel about yourself. Neck liposuction and eyelid surgery in Sydney can make you appear many years younger. Being happy with your look will make you feel better and more confident. 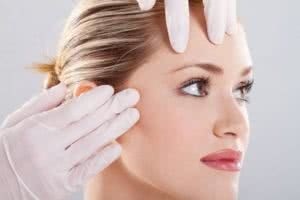 Dr. Perkins is a specialist plastic surgeon who also offers a wide variety of face and body cosmetic procedures to help you achieve the look you desire. 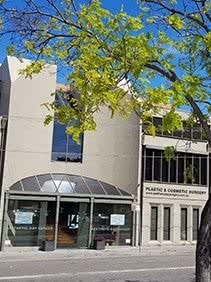 If you are interested in learning more about treating your facial puffiness in Sydney, schedule an appointment for a consultation either online or at (02) 9587 0871 . 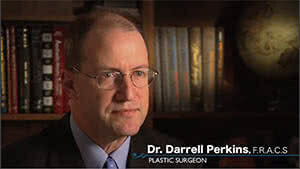 Dr. Darrell Perkins and his team will be happy to answer any questions.